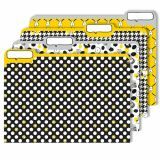 Four pack of File Folders in complementing designs offer unique and creative solutions for classroom organization. 4 file folders per pack. 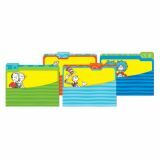 Individual folder measures 9" x 11 1/2"
Four pack of Eureka File Folders in complementing designs offer unique and creative solutions for classroom organization. 4 file folders per pack. Individual folder measures 9" x 11-1/2". 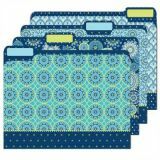 Four pack of file folders in coordinating designs offer unique and creative solutions for classroom organization. Individual folders measure 11.5"W x 9"H.